Last February I moved into my new apartment. Over the past few months I’ve made a conscious effort to give it my own touch because I want my place to feel like…”me.” I think I’ve done a great job at doing this. My guests remark how warm and comfortable my home feels. They remark how pleasant it smells, too. I just love hearing comments like that. I really love my new place. The other night I had an intriguing dream. Thieves broke into my home. They told me they loved what I did with my place and demanded that I let them live in my home. They kept telling me that they USED to live in my apartment and they wanted to come back. Initially, I was afraid of them, but something occurred to me. THIS IS MY HOUSE. I DID NOT INVITE THEM. THEY HAD TO GO. THEY DIDN’T LIVE HERE ANYMORE. I’m not one to interpret dreams, but this dream stood out to me. I had to determine its meaning for my life. (Remember people, places and things mean what you want them to mean.) I realized that the “thieves” were old habits, limited beliefs and ways of being that no longer serve me. You see, before I got back on my feet and got my own apartment I was a different person. You see, I used to be a slob. I didn’t value order or neatness. I wasn’t financially responsible. I didn’t know how to cook either. That is how I used to be. Over the past year and a half I have changed. I value keeping a neat home, being financially responsible, and I love to cook. I marvel at how far I’ve come and how well I keep my new apartment. It’s like I’m a new woman. I LOVE it! Over the past few weeks, I’ve started addressing other areas of my life that I want to increase and improve as well. I don’t know about you, but I get scared when it comes to making lifestyle changes. I used to talk myself out of these changes, but these days I’m becoming more aware of these limiting inner conversations. This type of self doubt is just like those thieves I dreamed about. They used to live in my mind, but they don’t live there anymore. They can’t just barge into my mind again. I did not invite them so I won’t entertain them. I had to learn how to stand up to them. In the dream I stood up to them by declaring that it’s my house and that I would not tolerate them. Interestingly, I continued cleaning my home and the “thieves” disappeared. I continued acting and thinking in line with my new lifestyle. Those old ways of being and thinking had to flee. You see, fear melts in the face of ACTION and FAITH. You have to keep on the path of your new lifestyle and thought life. Don’t give up! Don’t turn back! Don’t let the “thieves” take over OUR HOME. Take your power back. You have the power to think and live in ways that serve you by evicting limiting beliefs and replacing them with better beliefs. Have you had any “break-ins” lately? 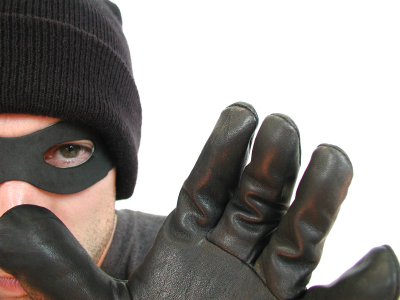 Do you have “thieves” trying to steal your promise? Please share in the comments. Let’s talk!